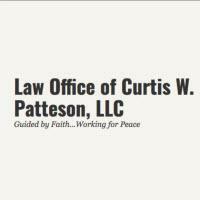 Based in Anchorage, Alaska, the Law Office of Curtis W. Patteson, LLC, offers legal services in several areas of estate and family law. Attorney Curtis W. Patteson, a West Point graduate and Army veteran, provides knowledgeable, honest representation in probate, estate administration, estate planning, guardianship and conservatorship, and family law matters to clients throughout Alaska, as well as to residents of the lower 48. As a Christian attorney, Curtis has a conviction that the vocation of law is a divine calling, and his Christian faith and values are integral to his practice and to the service he provides to his clients. In representing a broad range of clients in matters that are extremely important to them and their families, Curtis treats each situation as unique, striving to deliver cost-effective legal solutions that meet specific needs. In Alaska probate and estate administration matters, attorney Curtis Patteson represents administrators and executors who are seeking to take care of a loved one’s estate in a smooth manner. Curtis handles uncontested and contested probate cases, helping his clients identify assets and debts, and satisfy creditors and beneficiaries appropriately. He also represents clients in cases involving guardianship and conservatorship. In his estate planning practice, Curtis helps clients develop personalized strategies that protect their assets, provide for their families and bring peace of mind. He reviews and prepares essential documents such as wills, powers of attorney, long-term care planning, health care directives and numerous types of trusts, including special needs trusts. When family issues like divorce, child custody, child support and adoption call for legal counsel, Curtis provides service geared toward making peace and bringing resolution as quickly as possible. He is experienced in dealing with military issues that impact many of his clients. When an experienced estate and family law attorney is needed and integrity is essential, contact the Law Office of Curtis Patteson.